Only 17% of Europeans are data literate and a staggering 45% struggle to differentiate between data truths and manipulations. This begs the question, what does it mean to be data literate? Do we need a PhD to derive meaning from our business data or hold a data-informed conversation about our health and life choices in general? At Vizlib, we like to imagine a world where anyone could tap into the vast world of big data, no matter their background or professional profile. Like any other ability, data literacy is a skill that needs to be honed and practised to provide tangible value. To begin looking at the world through the lens of data, we need to start asking the right questions. 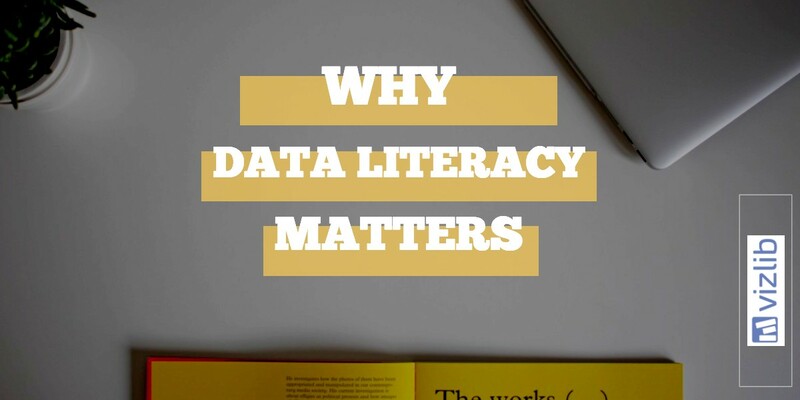 So what is data literacy? Just as literacy is the ability to derive meaning from the written word, data literacy is the ability to derive meaning from data. In the current data-driven world, an increasing number of organisations rely heavily on data analysis and often require some degree of data literacy from all employees. Communicate information derived from data in an engaging way, even to people who lack data literacy. This ability is also known as data storytelling (we’ll cover this later). If you stop to think about it, every aspect of our lives is influenced by data in one way or another. Being data illiterate means we inevitably make wrong decisions and put ourselves at a disadvantage. If big data is the new oil, but only a small number of organisations are equipped to harness its potential, there’s an obvious opportunity for innovators to increase data literacy in the workplace and realise the true value of the data they’re sitting on. How could that be achieved? A common way to tackle the data illiteracy problem in the business world is to seek out top data specialists and trust them to make data more accessible to all managers and employees across the company. What these businesses fail to understand is that a collection of data sets, no matter how insightful, has no value to someone who is data illiterate. Would you appreciate literature if you couldn’t read? The true transformation will occur when employees in all disciplines -- marketing, sales, finance, etc -- will be able to consume and interpret data effectively, meaning they’ll have a basic understanding of the main statistics concepts and terms, be comfortable with any of the common charts, such as the line, bar, area, pie or scatter chart graphs, be able to analyse, interpret and think critically about it. The good news is that 65% of workers would be eager to learn and upskill if they were offered an adequate training opportunity and given the right tools to read data. Business leaders need to reevaluate the part they’re playing in their teams’ digital upskilling and training. Increased data literacy in a workplace would benefit everyone, but especially the company itself. How can data storytelling help us understand data better? Data storytelling is all about weaving data and visualisations into a narrative tailored to a well-defined, specific audience in order to inspire confidence in the results, convey credibility in the analytical approach and offer a compelling set of insights that lead to action. Author Rudyard Kipling has famously written, "If history were taught in the form of stories, it would never be forgotten." The same could be said about data. It’s not uncommon to see data being fit into a story, rather than drive it. This results in a jumbled narrative that causes more confusion than it helps. To improve business decision-making, organisations must learn to start with data and build the story around it. 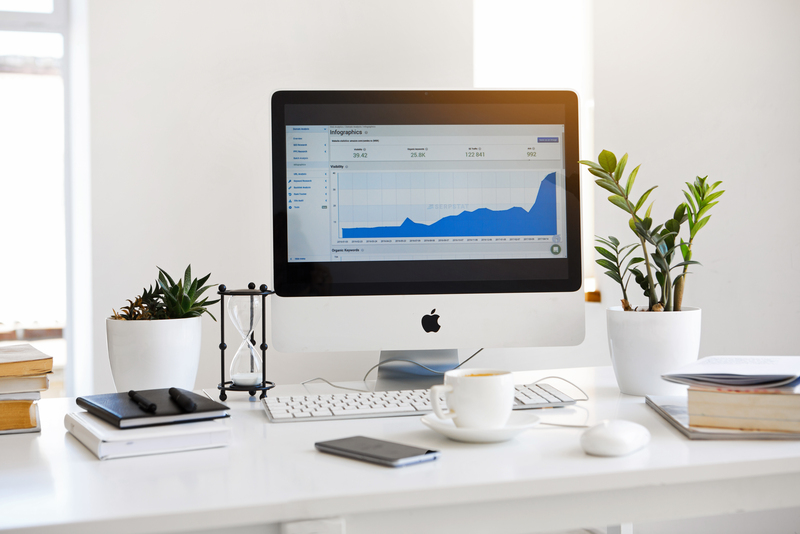 Data visualisations tend to help businesses answer the “what”, but they need to figure out the “why” to truly tap into the power of data storytelling. Data, visuals and narrative are the three key elements that make up the core of data storytelling. Different combinations of these elements can produce different results. Data combined with narrative can help you explain to your audience what the data is telling you and why that’s important. When data is coupled with visuals, they help to enlighten the audience by bringing out various patterns and insights that would otherwise remain hidden in the rows and columns of data tables. And finally, when narrative and visuals come together, they have the power to engage and sometimes even entertain the audience. The right combination of narrative, visuals and data can help businesses tell stories that drive change. Needless to say, we are data advocates here at Vizlib. We believe that improved data literacy can enlighten and enrich any business and that data storytelling will only grow in importance in the future, as we continue to make new technological advances. How’s your organisation dealing with the abundance of data? 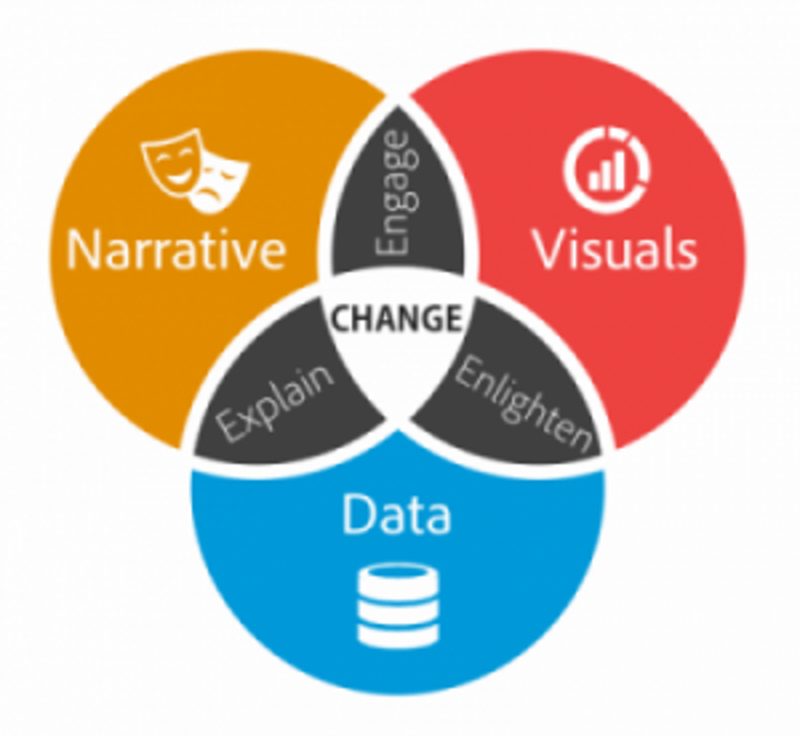 Are you using the data storytelling approach? Is your team data literate? Join the conversation and let us know what you think! We’ll leave you with this inspiring TED Talk. Enjoy!